Looking for that new home or needing to sell your home? You can find a Realtor in our Directory of Advertisers who will help you reach your dreams. 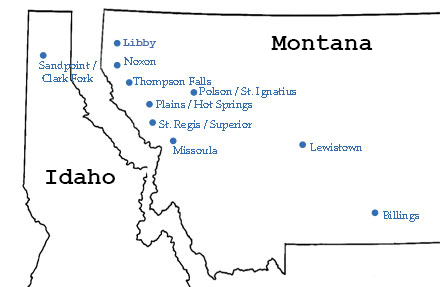 Find the state/city where you want to contact a realtor. Take note of the corresponding page numbers so you are able to use the current guide to locate them. Keep in mind, that most realtors cover a large outlying area in addition to the town where their office is located. 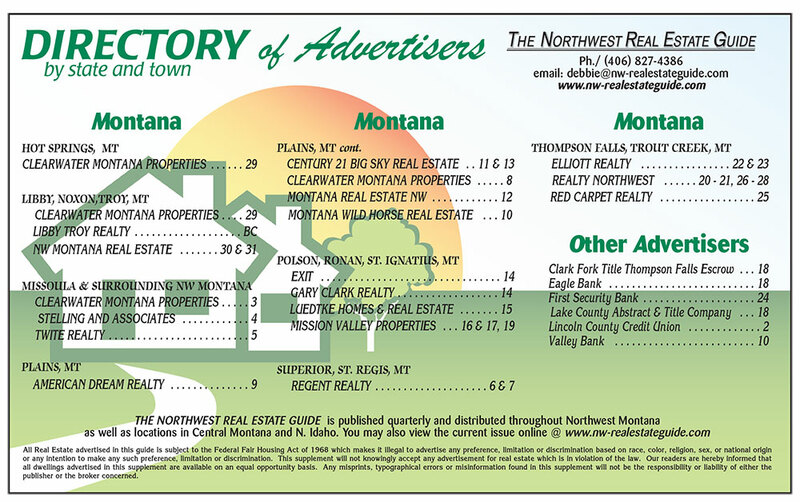 Use the Directory of Advertisers below to find a Realtor or other advertiser and the page number where they appear in The Northwest Real Estate Guide.